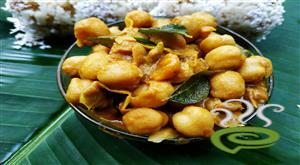 Kerala Easy Mambazha Pulissery is one of the tastiest vegetarian delicacies, very popular in Kerala Cuisine. 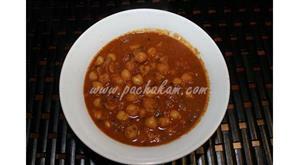 The sweet and sour Kerala Easy Mampazha Pulissery is a traditional dish that goes well with rice. 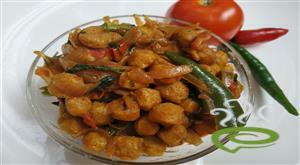 The yummy tangy flavored dish simply makes you yearn for more and more. Kerala Easy Mambazha Pulissery is unique and special with cooked mango pieces blended with a spicy coconut mixture and creamy yoghurt. Mangoes are healthy and nutritious and the dish can be easily prepared at home with limited ingredients. You can explore a well detailed Kerala Easy Mambazha Pulissery here. For preparing Kerala Easy Mambazha Pulissery, first cut the mango into pieces and boil in water along with turmeric, green chillies, chilly powder and salt. Grind the coconut with the cumin seeds to a fine paste and add this to the boiling mango. Bring this to a boil and take off the flame. Blend the yoghurt to make it smooth and add this to the mixture. : See to it that the yoghurt does not split. Add mustard seeds and when they crackle, add red chillies and curry leaves. Add the above seasoning to the above mango curry and mix well. Sprinkle fenugreek powder and mix well again. 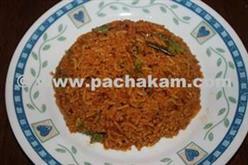 :- Serve Kerala Easy Mambazha Pulissery with rice. I tried it...It was very tasty one..Thank you..
this is very gd recipe.my son like it very much. Very nice recipe. Can u show the same recipe with video? it will be more helpful. Thank u for ur suggestion to prepare this recipe. Exact recipe as my amma. Thanks a lot! After 9 yrs of having lost her I found the taste of her pachakam through this recipe at pachakam.com. Awesome taste thank you for the recipe..
Nice recipe. My aunty used to grind some mustard as well at the end which add a special flavour n aroma..
Really tasty...Just cooked it and had a great lunch . Thanks..
My wife used to make this, except the fenugreek powder thing in the last...this time we will try like that...Thank you so much .. Thank you for sharing the great recipie. I did some alternation, I didn t cut mangoes. I used and reduced the coconut amount. Adipoli.. already made it twice.. great.. Thanks a lot for this excellent recipe. 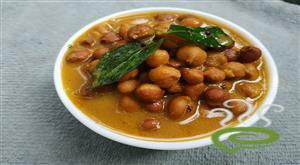 Really authentic tasty kerala dish. Simply loved it. 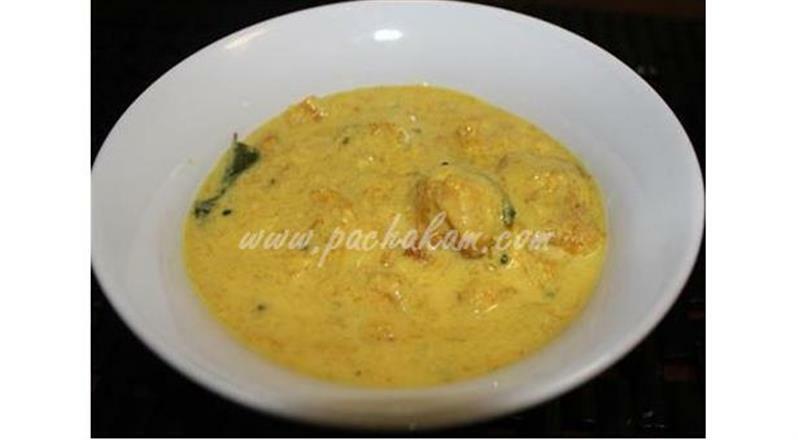 Really great recipe...authentic kerala taste..
We tried it. Excellent..Thanks to you. I tried it several times and its awesome..!!!! my hubby likes it so much.Thanks for sharing such a good recipe.. It came out very well. thanks for the recipe! easy and excellent even for beginners .thank you so much. recipe was simple and good. i tried it and it came out well. Thanks for this recipie.I loved this recipie.Its very simple and tastes delicious. superb..wonderful recipe.everyone wants to know the preparation. we all enjoyed..a very big thanx to you.. This is quick , easy & healthy & tasty ( a very difficult combination) & me & my husband loved it after a hard day`s work. Felt light on the stomach & wonderful on the tastebuds! Thnks a lot! Thanks for sharing this recipe.It turned out to be extremely wonderful. i made this recipie.it came out well.you can make the same recipie with pineapple instead of mango.i have tried. it was gr8 ! !.........thank u for the recipie. SOOOO Good. My mother used to make this. Try seasoning with fenugreek as well. My experience is that it tastes better next day or after letting it cool off. You can add a bit of jaggery if the mangoes are not really sweet. thank you!this recipe is simple to make n tastes really nice. hi Narayanan, thanks for sharing this recipe!i ate this curry at a friend`s house and i asked how she made it ...she didn`t explain well as if she didn`t want me to make it .i felt bad and thought i could never make it ..and today when i made with your recipe , i felt so happy and proud! thanks once again...and do share such good nadan recipes for beginners like us..u people are really saving our lives ! i treid this recipe and it came out well..thanks to narayanan. i made this today and tastes great! I made this today and it came out great. one slight modifiction is i let t sit on the stove for a while after adding the yoghurt on very low flame. just to get the yoghurt sourness go away. be very careful not to overheat it. as soon as u see aavi coming out of the vessel, u shd remove. also u can tell when to remove by checking the temp of the liquid by hand. it shd be just hot. disclaimer: do not burn ur hand! I tried Mr.Narayanan`s Mampazha Pulissery.It came out very nicely.